Jonathan Rees-Williams was born in Jersey in 1949. He grew up in north-west London, eventually continuing his musical education at the Royal Academy of Music. There he studied principally with Arnold Richardson and Eric Thiman, wining prizes for his organ playing and aural training. Having gained the Recital Diploma at the Academy, he was appointed Organ Scholar of New College, Oxford where he read an honours degree in music. Subsequently he held position as Acting Organist of New College, and Assistant Organist of Hampstead Parish Church, and St Clement Danes Church, London. In 1974 he moved to Salisbury, where he was Assistant Organist of the Cathedral and Director of Music at the Cathedral School. 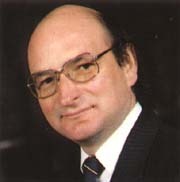 He moved to Lichfield as Organist and Master of the Choristers in 1978, and then served as Organist and Master of the Choristers at St George's Chapel, Windsor from 1991 until his resignation in 2003.